Bringing a new dog into your home is hard work! They chew things, and pee where they shouldn’t, and bark… and phew we’re getting exhausted just thinking about it. What all this craziness really comes down to is: dogs don’t speak english, and we don’t always speak dog. So let’s break it down: you’re bringing a whole different species into your home and meshing your lives together. They have to learn your rules, and you have to learn theirs. Cut each other some slack! One of the best ways to get on the same page as your dog is to work on the basics of training together. Positive Training helps teach your dog what exactly you expect of them, and that good things happen when they follow the rules. 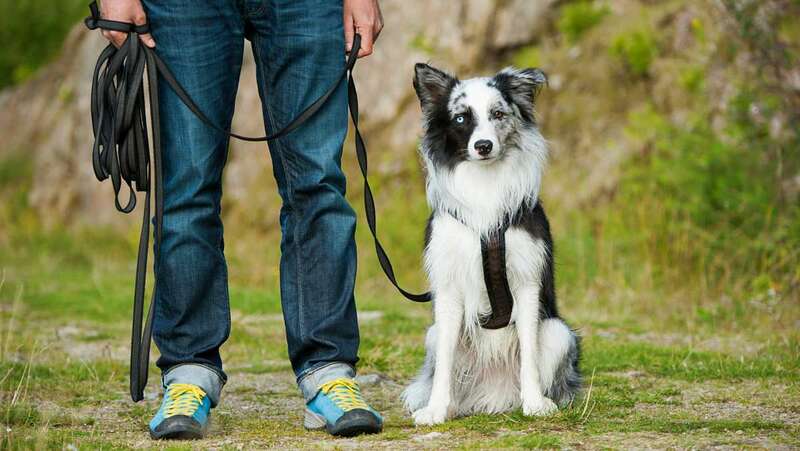 Training helps build a bridge between your language, and your dog’s. Training helps to bond a person to their pup, and it doesn’t have to be super complicated! To help you all out, we’ve decided to break down the basics of training into three commands: Sit, Stay, and Come. These commands provide the groundwork for more specified training and more complicated commands. This post will discuss how to teach your pup to “Sit” in a few simple steps, and our follow-up posts will cover “Stay” and “Come”! 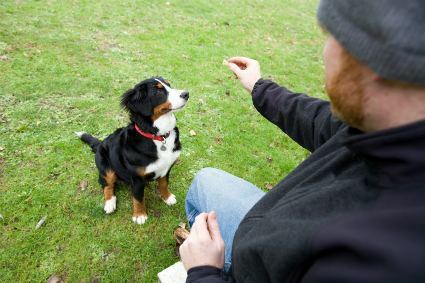 As with any training task, the very first thing you’ll need while teaching your pup to Sit are TREATS! Now, the key to a great training treat is to ensure it is HIGH value and in pretty small pieces. Keep in mind, high value means something different to every dog, so make sure you pick a treat that is enticing to your pup, even if their favorite thing in the world is green beans! Some great options to try are hot dog pieces, bacon bits, shredded chicken, or stinky cheese. High value treats should be STINKY so that the dog knows exactly what you’ve got, and how high the stakes are. Alrighty, so you’ve got your choice of treats. Now you need to pick an appropriate environment. When you’re first starting out with training, choose an environment that is quiet, and free of distractions. 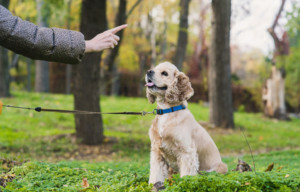 It’s important that you are the most enticing thing in your dog’s environment, and they can’t be distracted by other dogs, people, sounds, smells, or any other stimuli! Get your dog’s attention and show your dog that you have a treat in your hand. Hold the treat just above your dog’s nose (not too high or your dog might jump). Move the treat back towards your dog’s ears, keeping it close to the head. Your dog’s nose might turn up to follow the treat at first, but most dogs will sit when the treat gets to a certain point. 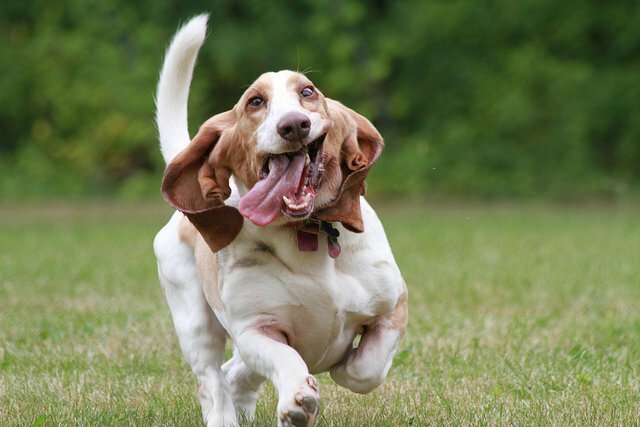 As soon as your dog’s rear lands on the ground, say “yes!” or “good dog” in an upbeat tone (or, click your clicker). 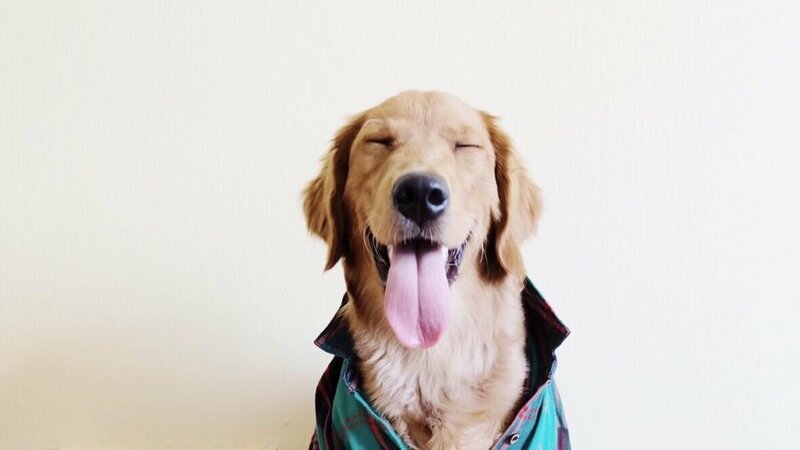 Immediately give your dog the treat followed by petting and praising. Repeat 1-5 until your dog sits at the sight of the treat above of your dog’s nose. Next, add the cue word: Say your dog’s name followed by the word “sit,” spoken clearly while holding the treat in the position as before. Another option when teaching a command is to “capture” a sit with praise. Every time your dog offers a sit in their daily life without you asking them to, do a BIG praise and give them a treat. Dogs are much more action-oriented than verbally-oriented, and are more likely to pick up a trick via kinesthetics than listening to a word. They soon learn that sitting is followed by rewards, and it will make it easier for you to pair the cue word “Sit” to an action they already know. Keep in mind, every dog picks up tricks in their own time. It may take your dog a few training sessions to consistently Sit when you cue them to. You’ll want to keep your training sessions short and always be sure to end on a positive note! So there ya have it! Work on this consistently, and your pup will have a reliable Sit in no time! Stay tuned for next week’s post about “Come”.